We discovered that Mount Field National Park is another easy day trip from Hobart and is an ideal chance to commune with nature in Tasmania. Here are eight things to do on an amazing day trip to Mt. 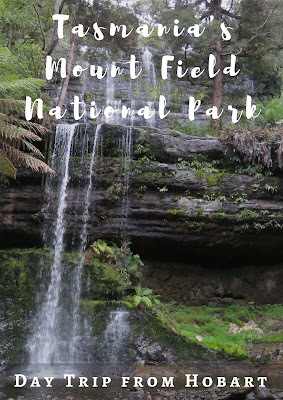 Field National Park just an hour's drive from Hobart. Mount Field National Park features lush trails that just seem to envelope you as you walk along them. We felt like we'd been transported back in time to a prehistoric forest. 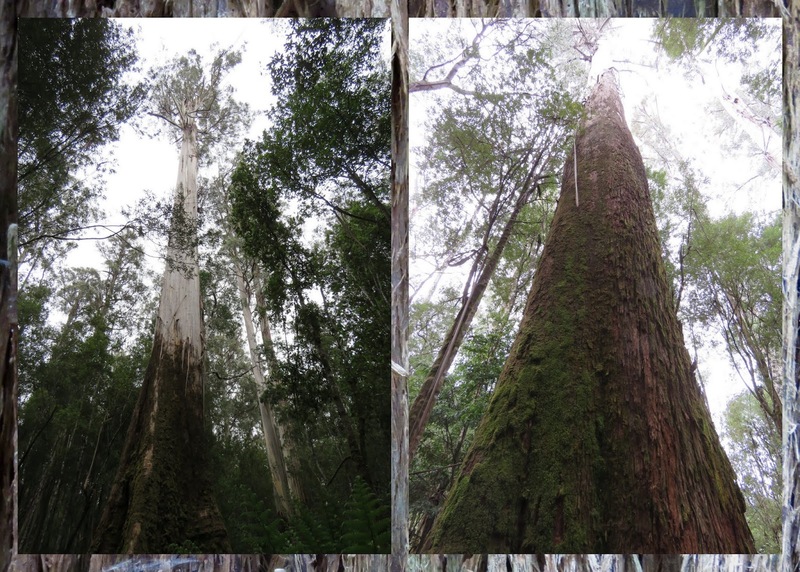 Mount Field National Park features some of the tallest trees in the world. We craned our necks upward and still could barely see the top. It was actually impossible to get a picture of a single tree from top to bottom! We emerged from the forest at Russell Waterfall, an easy 15-20 minute hike from the Mount Field National Park Visitors' Centre. 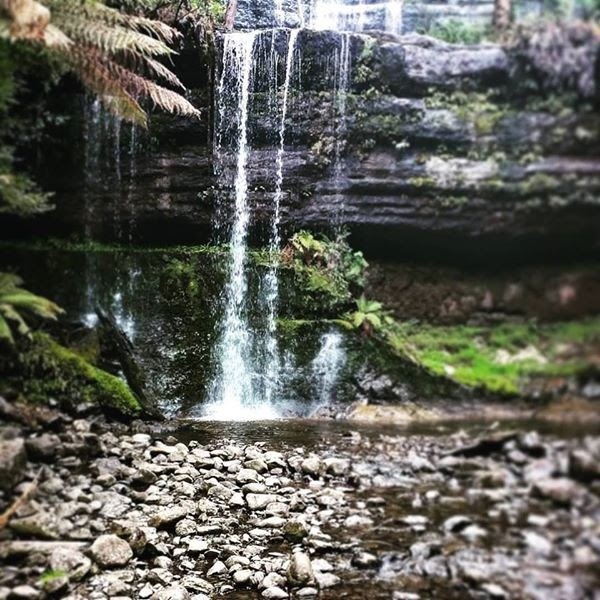 We paused to listen to the water cascading over the rocks for a while, a very zen experience. It's well known that everything in Australia is trying to kill you (or so they say) and 'The 72 Most Dangerous Animals in Australia', a TV series we discovered on the trip reinforces that paranoia. 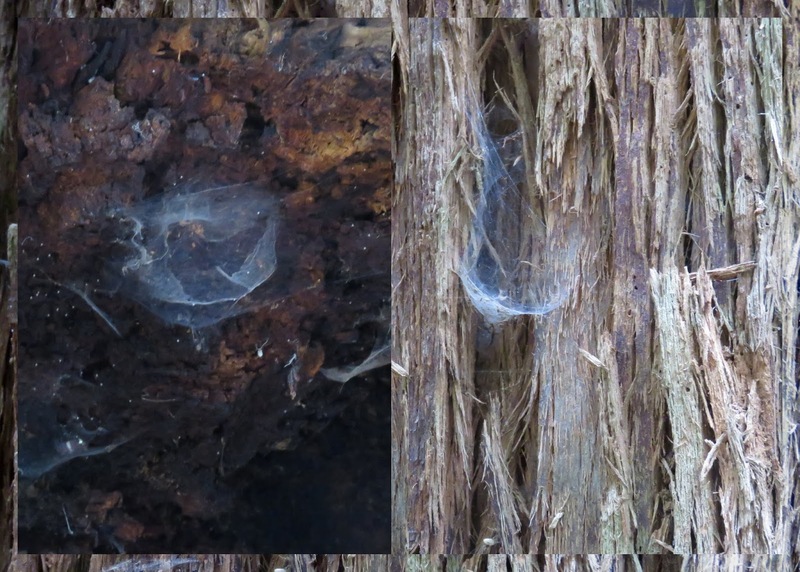 We certainly stayed clear of these scary looking spiderwebs! 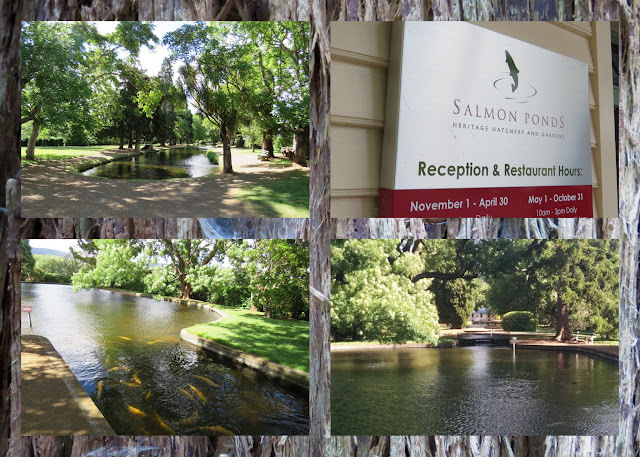 On the drive back to Hobart from Mount Field National Park, we saw a sign at the edge of the road promoting a historic salmon hatchery. I'm kind of indifferent to fishing, but the little camera icon on the sign suggesting that we might get some good photos won me over. We pulled in to take a look. 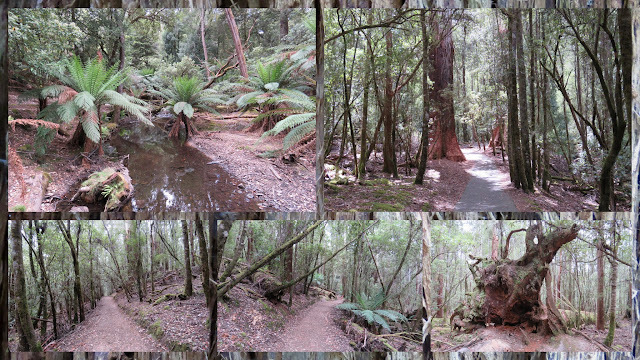 We walked along the ponds and read up on the history of fishing in this area of Tasmania. It was actually a well done attraction. The big draw for us though was the possibility of seeing a platypus. When we entered the salmon ponds, we saw a picture at the front desk of a platypus that frequents the area and had in fact been spotted by the ponds that very day. Sold! We paid our money and in we went. We spent about an hour carefully looking around the salmon ponds hoping against hope to spot an elusive platypus. We noticed that there was a slow moving river just behind the salmon hatchery and decided to scan the banks on a hunch that the platypus might be there. Sure enough, we soon spotted one in the distance wriggling in the water. 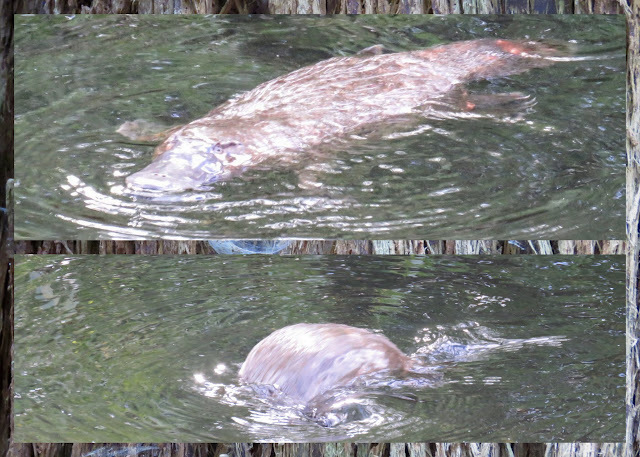 I could have watched this platypus for hours! Alas, it turns out that it was now after closing time at the salmon ponds and they were locking up. In fact, we almost got locked in! The manager had locked the gate and then noticed a lone car in the parking lot and wondered where we'd went. 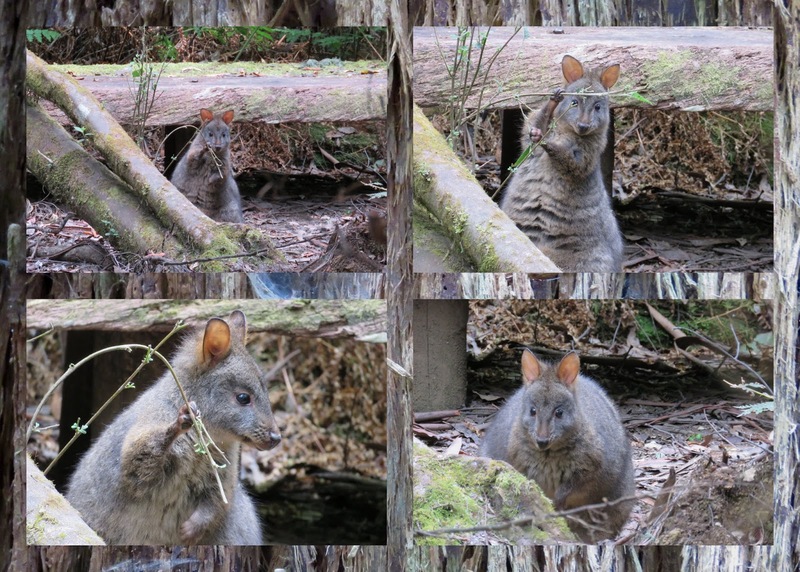 He soon found us gaping at the platypus at a viewpoint overlooking the river. 8. Hops to It in Tasmania! 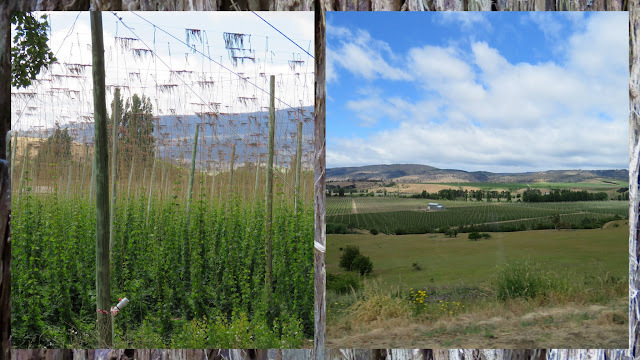 One interesting bit of trivia that we learned on this day trip from Hobart is that Tasmania has an ideal climate for growing hops. We saw field upon field of hops strung up to grow towards the sky on our journey between Hobart and Mount Field National Park. I'll definitely think back on this drive when I'm sipping my next pint of beer. We really appreciated the amazing flora and fauna on our day trip from Hobart to Mount Field National Park. If you find yourself in Hobart with a day to spare, I highly recommend squeezing in a visit. 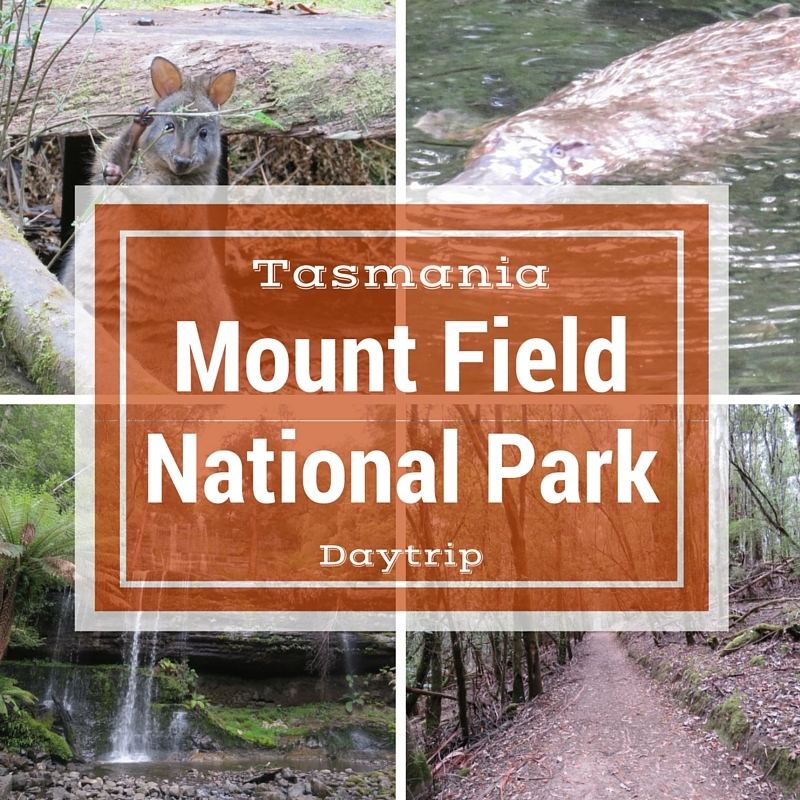 Read about things to do on a day trip from Hobart to Mount Field National Park in Tasmania including an encounter in the wild with the elusive platypus.